As the flames engulfed Notre-Dame in Paris yesterday, François-Henri Pinault, chief executive officer of the Kering Group which owns Gucci and Yves Saint Laurent, pledged €100m to help rebuild the cathedral. This morning, Bernard Arnault, the chairman and chief executive officer of LVMH Moet Hennessy Louis Vuitton, said his family will donate twice that amount, €200m, for the rebuilding effort. This promise of huge sums for a public project is highly unusual in France where billionaires are more likely to spend money on their own private ventures than on state-run initiatives. Perhaps the personal history of France’s two most prominent luxury goods magnates played a part in these generous philanthropic pledges. 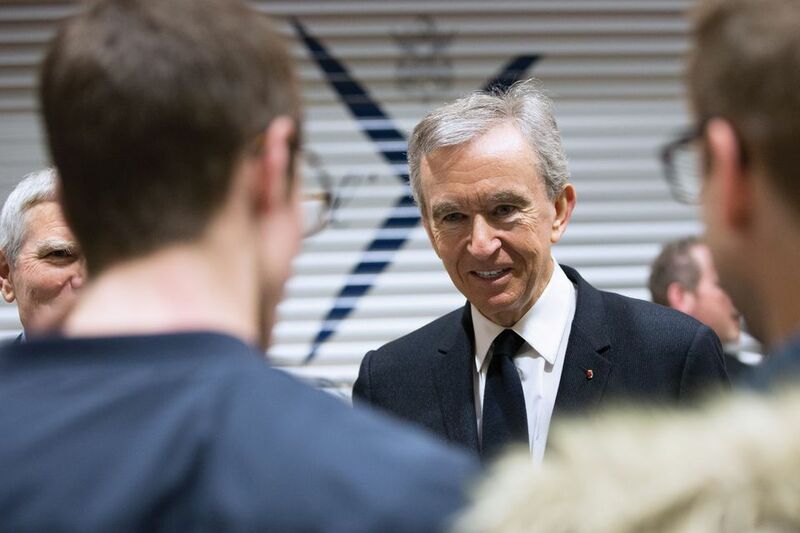 Arnault, whose fortune is estimated by Forbes at $91.7bn, has spent much of his professional life competing with François-Henri’s father, François Pinault whose family is worth $35bn. In the 90s, the duo engaged in an ugly and protracted fight over control of the Italian fashion brand Gucci, a battle which Pinault ultimately won. Today they preside over competing fashion brands and competing wine labels and have both built extensive art collections and put them on public display. In 2005, Pinault abandoned plans to build a museum on Île Seguin, an island in the western suburbs of Paris, citing bureaucratic red tape and instead opened two contemporary art museums in Venice at the Palazzo Grassi in 2006 and Punta della Dogana in 2009. In 2014, Arnault opened his own grand gallery in Paris designed by the Canadian architect Frank Gehry in the Bois de Boulogne, a park in the west of the city. Is it the spectacular success of Arnault’s Parisian venture that inspired Pinault to revive his dreams of a museum in the French capital? Perhaps. Whatever the reason, Pinault will soon realise his ambition to open a museum in Paris when he inaugurates a new gallery in the historic Bourse de Commerce, a magnificent, circular building topped by a dome that was once used as a commodities exchange. And if the competitiveness between France’s two leading luxury goods families can spur them to grand philanthropic pledges like the €300m they have promised for Notre-Dame, then we will all benefit from this long-standing personal rivalry. UPDATE: The French luxury and cosmetics group L’Oreal, along with the Bettencourt Meyers family and the Bettencourt Schueller foundation, will donate €200m for repairs to the Notre-Dame Cathedral.